Florida has brought an old friend back home. With the departure of defensive backs coach Charlton Warren to Georgia, Dan Mullen went and replaced him with Torrian Gray- a significant upgrade. Gray has served as the Washington Redskins’ defensive backs coach the past two years, improving what was the 28th ranked pass defense in the NFL in 2016 to 21st in 2017 and 15th this season. Gray also served as the Gators’ DB coach in 2016. Prior to Florida, Gray served as the DBs coach for Virginia Tech under Frank Beamer from 2006-2015. In that role, he oversaw one of the nation’s top secondaries for the entirety of that decade- particularly at the end of his tenure. In his final three seasons in Blacksburg, Gray’s pass defense finished ranked seventh, fourteenth and ninth in the nation in yards allowed. But while he’s best known for his time at VT, Gray has made his mark in Gainesville as well. 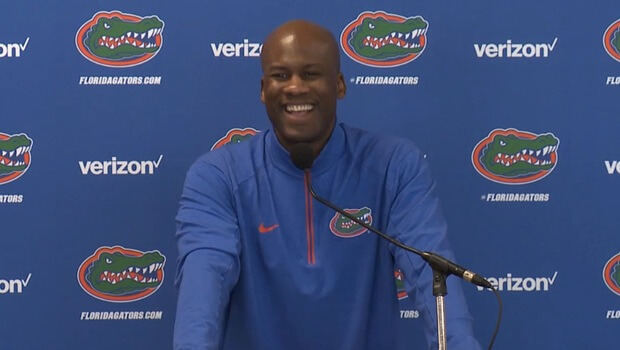 In his one year with the Gators, Gray had a hand in the recruitment processes of Brad Stewart, Marco Wilson and CJ Henderson. Those three figure to start at their respective positions in 2019, and now Gray gets to coach them. And in his one year with the Gators, Florida finished third in the nation with just 156.3 pass yards per game allowed. Particularly with the profoundly bad timing of Warren departing for Athens, this was as good a hire as Mullen could have possibly made. Any update on D-line coach?